When it comes to blogs and business, many people do not realize the potential benefits. 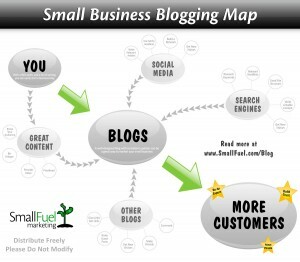 Too often, small business owners begin blogging for business growth and expect immediate results. When customers do not flock to their website the next day, they abandon the blog or only devote time to it once in a while. Low quality, inconsistent content will not drive traffic, so business owners fulfill their idea that blogging for business does not work. In order to build a dedicated readership, you need quality content on a regular basis. Some people advise blogging daily. Other people state daily may be too much for readers to keep up with, but agree blogs should be updated three times per week. Whether you blog daily or a few times a week depends on your business. Someone posting online sales tips can post several times per day while a lawyer providing legal articles might only post once a week. Your blog does not do any good if no one finds it. You need to use keywords in your blog titles, headers and content. Those keywords should reflect the phrases people looking for your goods and services would type into a search engine. For example, if you create candle-themed gift baskets, keywords might include “candle gift baskets” or “gift baskets with candles”. You can use Google’s keyword tools to find popular related keywords. Once you have keywords, turn them into article ideas. A post for the gift basket company might be “Five Reasons Candle Gift Baskets are the Perfect Mother’s Day Gift”. In addition to driving traffic through content and keywords, a well-written blog can also increase online branding for your company. Branding is the image you cultivate for your business. Unique, timely and useful blog posts can position your company as a leader or expert in the field. This is where you avoid discussions of all the cute things your niece or grandson did and provide content relevant to your target market. People like doing business with people, so it is okay to be personable and mention family members or relate a cute story from time to time. Just make sure it is obvious that is not what your blog is about. Remember, you are trying to promote your business, not you personally. You did not grow your business overnight, and you cannot expect to promote your business overnight through internet marketing. Blogging is a valuable promotion tool, but it can take several months to a year for things to take off. While you are waiting for ROI on your time, try new things and become familiar with your blog options. Try new layouts, experiment with photographs and videos, and track views to different posts. If some posts are getting more traffic than others, figure out why and try to replicate the success. Once your blog has an established readership, there are less opportunities to tweak things without driving away potential customers. The Empower Network‘s core product is a viral blogging network. Currently there are more than 18,000 blogs under a single domain that get more than 1.6 Million page views per day. All the major search engines love the unique and fresh content added every minute so they index the blog posts within a few hours and keywords (tags) are page ranked very high from Day 1. No SEO work required on your part. Blogs are set up instantly. No messing with installation, documentation, plugins, etc. If you want to promote your business with hordes of free traffic, perfect for the technically challenged, get your blog with Empower Network today and post to your blog at least once a day with a link to your business website in every article.